This tool belt holder is suitable for a variety of different tools including screwdrivers, pliers, wrenches, cutters and other electrician tools. This tool waist holder is made of thick waterproof wear resistant tendon cloth nylon fabric for maximum strength and durability. Each sleeve has a strong sewing and reinforced with metal rivets. Tool belt also includes a flip cover, solid bottom bag for small parts or components. 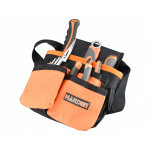 This professional tool belt will make your project more enjoyable and will increase overall performance and quality of your work. 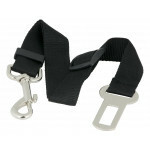 This Dog Seat Belt is comfortable and adjustable, helping to connect a harness to a seat belt lock. .. 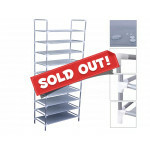 This 10 Tier Fabric Shoe Rack creates stylish storage wherever you need it. The attractive design fe.. This Oxford pouch tool bag is suitable for electrician, carpenter or framer. This waist tool bag is ..